Note to self…Oct. 7th, Fix-It With Fran: All Things Faith, Family, Food, Fun and more! 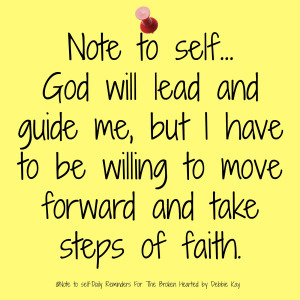 God will lead and guide me, but I have to be willing to move forward and take steps of faith.